How Are Decisions Made and for Whom? Senior global governance analysts such as Joseph Stiglitz and Boutros-Boutros Ghali argue that much of international law and policy has developed for the benefit of developed countries, and that there has been a concerted effort by the wealthiest and most powerful nations to maintain control over international decision-making and global institutions. Many of the opportunities for decision-making are concentrated within the control of the most powerful and wealthy states without the scrutiny or input of poorer countries, NGOs, or civil society groups. There remains a lack of broad representation within many organs of global governance. In particular, the developing countries that are most affected by many of the decisions taken by the International Financial Institutions, and the debt and development declarations of the G8 and G20, have little if any input. "The leaderships of the organizations [of global governance] have not been subject to direct popular election. Nor has any global governance institution had a democratically appointed legislative arm. Citizens have in most cases have been unable to take global authorities to court for redress ... True, a notional accountability chain does connect voters via national parliaments and national governments to global governance organizations, but the links have in practice been very weak. A Tyranny Speaking the Language of Democracy? Many international organisations lack democracy and accountability in their composition and in their decision-making processes. Critics of the global governance system claim that a lack of democracy means that there is a lack of fairness, control and consent. "Developing countries account for more than 80 per cent of [the] world population and contribute almost 50 per cent of world output. Yet, their influence in multilateral institutions that govern the world economy is at best limited and at worst marginal ... the existing system does not provide for equal opportunity ... democracy is not only about majority rule, but also about the protection of minority rights. The concerns of poor countries and poor people should, therefore, constitute an integral part of any democratic design for global governance." The founder members of the United Nations, led by the United States, established the World Bank andInternational Monetary Fund in 1945 as specialized agencies of the United Nations. According to the IMF, the body "works to foster global growth and economic stability. It provides policy advice and financing to [its 185] members in economic difficulties and also works with developing nations to help them achieve macroeconomic stability and reduce poverty." "IMF conditionalities may additionally result in the loss of a state's authority to govern its own economy as national economic policies are predetermined under the structural adjustment packages. Issues of representation are raised as a consequence of the shift in the regulation of national economies from state governments to a Washington-based financial institution in which most developing countries hold little voting power." There are 185 members of the IMF. Voting rights, and therefore decision-making authority, is proportionate to the member's relative size in the world economy. The IMF assigns each member a quota, which "largely determines a member's voting power in IMF decisions. Each IMF member has 250 basic votes plus one additional vote for each SDR 100,000 of quota. Accordingly, the United States has 371,743 votes (16.83 percent of the total), and Palau has 281 votes (0.01 percent of the total)." Following reforms in 2008, ‘Emerging and Developing Countries' have increased their share of the total voting power from approximately 40 to 42 percent. The Group of 8 members of richer economies (United States, Germany, Italy, United Kingdom, France, Japan, Canada, Russia) hold 47.16 percent of total votes (1,045,180 votes). The power allocation system of the International Financial Institutions is commonly referred to as "one dollar, one vote." The World Banks states that its mission is "to help developing countries and their people reach the goals by working with our partners to alleviate poverty ... the Bank delivers technical, financial and other assistance to those most in need and where it can have the greatest impact and promote growth." "With the World Bank, there are concerns about the types of development projects funded by the [World Bank's] International Bank for Reconstruction and Development and the IDA. Many infrastructural projects financed by the World Bank Group have social and environmental implications for the populations in the affected areas and criticism has centred around the ethical issues of funding such projects. For example, World Bank-funded construction of hydroelectric dams in various countries have resulted in the displacement of indigenous peoples of the area. There are also concerns that the World Bank working in partnership with the private sector may undermine the role of the state as the primary provider of essential goods and services, such as healthcare and education, resulting in the shortfall of such services in countries badly in need of them." "[W]hat sets the IMF and the World Bank apart ... is their universality and claim to represent nearly all countries in the world. At present this character is diminished by the erosion of basic votes which are a symbol of equality with the organization ... The special character and legitimacy of the institutions is also diminished by the very slow way the institutions have adapted to a new climate of democracy and good governance." The World Bank has a weighted system of voting. Each member of the Bank is allocated 250 votes. Additional votes are based on each country's contributions to the Bank. Therefore the larger the country's share in the global economy, the greater its contribution to the Bank, and the larger its voting share and control of decisions within the Bank. The five largest contributors, the US, Japan, Germany, France and the UK, have 37.33 percent of voting power within the main Bank (IRDB). Governments established the General Agreement on Tariffs and Trade (GATT) in 1947, as a basic set of principles and rules to guide international commence in goods between countries. Following a long negotiating period in the ‘Uruguay Round' of talks during the 1980s and early 1990s, government leaders signed a new legal treaty to supplant the GATT with the ‘World Trade Organization' in 1995. The Organisation now acts as a forum where governments can make agreements on tariffs, quotas and subsidy levels on a number of goods and services including: food and agricultural commodities, textiles and clothing, and trade related intellectual property. In the event of a dispute over trade, member countries can refer the case to the WTO Court, called the Dispute Settlement Body. According to the body itself, "the World Trade Organization (WTO) is the only international organization dealing with the global rules of trade between nations. Its main function is to ensure that trade flows as smoothly, predictably and freely as possible." "At the heart of the system - known as the multilateral trading system - are the WTO's agreements, negotiated and signed by a large majority of the world's trading nations, and ratified in their parliaments. These agreements are the legal ground-rules for international commerce. Essentially, they are contracts, guaranteeing member countries important trade rights. They also bind governments to keep their trade policies within agreed limits to everybody's benefit." In contrast, critics decry that "the assumptions on which the rules of WTO are based are grossly unfair and even prejudiced. Those rules reflect an agenda that serves only to promote dominant corporatist interests that already monopolise the arena of international trade. The rules assume an equality of bargaining power between all the countries that engage in trade. They are also designed on the basis of a premise that ignores the fact that the greater percentage of global trade is controlled by powerful multinational enterprises. Within such a context, the notion of free trade on which the rules are constructed is a fallacy." The WTO has 153 members, and members take decisions by consensus. "The WTO shall continue the practice of decision-making by consensus followed under GATT 1947. Except as otherwise provided, where a decision cannot be arrived at by consensus, the matter at issue shall be decided by voting. At meetings of the Ministerial Conference and the General Council, each Member of the WTO shall have one vote"
The G8 (formerly known as the G7 before Russia formally joined in 1997) stands for the Group of Eight. These are eight leading industrialised countries; France, Germany, Italy, Japan, the United Kingdom, the United States, Canada, and Russia. The European Union also attends G8 Summits. Other nations and international organisations have attended past meetings. The French President Valéry Giscard d'Estaing founded the G8 in 1975, and the group has met annually since this date. "With no headquarters, budget or permanent staff, the Group of Eight is an informal but exclusive body whose members set out to tackle global challenges through discussion and action ... G8 members can agree on policies and can set objectives, but compliance with these is voluntary. The G8 has clout in other world bodies because of the economic and political muscle of its members." Commentators suggest that the "G8/G7 is criticized routinely as a wealthy club whose main concern is maintaining the global economic and political stability necessary for its members to continue accumulating wealth." "The fundamental legitimacy problem associated with the G8/G7 is not its right to exist. Rather it's the way that it has worked to promote itself as the central player in global governance-and in the process undermined the credibility of the United Nations ... [T]he G8/G7 has shown little leadership in addressing the deepening crisis of global governance. Indeed it has contributed to this crisis by supporting policy solutions that bypass the United Nations and further destructive trends in the global economy." The remit of the G8 has increasingly expanded to an agenda-setting function. The G8, unlike the G20, has a self-declared mandate to address political issues as well as economic ones. The first meeting of the G20 (Group of 20) took place on 15-16 December 1999. Its membership includes the G8 countries, as well as the "systemically important industrialized and developing economies ... The G-20 is made up of the finance ministers and central bank governors of 19 countries [with the addition of the EU]"
The G20 only has a mandate to address issues directly related to global economic security and stability. It meets annually, with rotating hosts and chairs, and has no permanent staff or headquarters. "Together, member countries represent around 90 per cent of global gross national product, 80 per cent of world trade (including EU intra-trade) as well as two-thirds of the world's population. The G-20's economic weight and broad membership gives it a high degree of legitimacy and influence over the management of the global economy and financial system." "Achieving consensus is the underlying principle of G-2 activity ... Every G-20 member has one ‘voice' with which it can take an active part in G-20 activity." Decisions made at G20 or G8 summits are not binding, and there are no enforcement capabilities. The Group of 77 at the United Nations (G77) was formed at the first session of UNCTAD, in 1964. Unlike the G8 and G20, the G77 represents the interests of the developing world. "The Group of 77 is the largest intergovernmental organization of developing states in the United Nations, which provides the means for the countries of the South to articulate and promote their collective economic interests and enhance their joint negotiating capacity on all major international economic issues within the United Nations system, and promote South-South cooperation for development." The membership of the Group of ‘77' has since expanded to include 130 developing countries. Its member-states include Brazil, China, India, Indonesia, Saudi Arabia, and South Africa, who are also members of the G20. Although there are annual meetings of the G77, the supreme decision-making body-the South Summit-has met every five years since 2000. The G77 does not set the global agenda, but does is the primary body for South-South cooperation, and has released joint statements on issues such as the territorial sovereignty of Iraq, the peace processes in Somalia and the Middle East, and the creation of FOMAC (the Forum for Mine Affected Countries). The Non-Aligned Movement (NAM) is another key example of the primary negotiating, coordinating, and decision-making forums available to the Global South. It was created in 1961 as a loose union of countries that weren't directly allied to either the US or Soviet led blocs during the Cold War. NAM has held Summits among its membership approximately every three years. "Non-Aligned administration is non-hierarchical, rotational and inclusive, providing all member states, regardless of size and importance, with an opportunity to participate in global decision-making and world politics." NAM currently has 118 members, with a further 16 observer states. Critics and observers claim that the Non-Aligned Movement has lost some of its significance and traditional purpose following the collapse of the Cold War. Members have left NAM in the recent past to join other organisations. Malta and Cyprus left in 2004 in order to join the EU, and were highly critical of the relevance of NAM. Supporters have championed a reorganisation of NAM to focus on its influence within the UN, and for its members to act as a caucus with bodies such as the Security Council. The OECD was formed in 1961, and currently has 30 members (and is in discussion with 10 further countries, including China, Russia and India). Member countries decide on the conditions for membership. The UN has an established Secretariat, and its headquarters are based in Paris, France. In 2009, the OECD has a budget of EUR 303 million. "OECD brings together the governments of countries committed to democracy and the market economy from around the world ... The Organisation provides a setting where governments compare policy experiences, seek answers to common problems, identify good practice and coordinate domestic and international policies." The OECD does not have policy decision-making capability. It provides statistical databases of the economic activity of its members, monitors global trends, and is a regular publisher of reports and books. The Forum is a not-for-profit foundation, created in 1971, which holds annual summits in Davos, Switzerland, with approximately 2,500 participants. "The World Economic Forum is the foremost global community of business, political, intellectual and other leaders of society who are committed to improving the state of the world ... Our summits give world leaders and our members the opportunity to map out solutions to global challenges like terrorism and corporate citizenship. Developing insight on the most pressing issues also places the Forum in a unique position to mobilize people and resources to act." 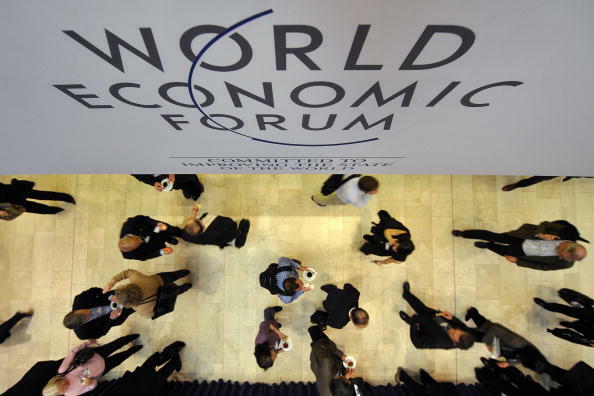 "Critics suggest that the World Economic Forum is an opportunity for unelected business elites to build networks and forge alliances with politicians to influence policies that will work to their benefit. One critic claims that the forum is "a fly-by-night lobby operation for the bankrupt neoliberal (free market) business model"." The Forum is based on the participation of businesses, rather than member-states. "Our members represent the 1,000 leading companies and 200 smaller businesses-many from the developing world. "Many senior political figures and heads of state including Ban Ki-Moon, Bill Clinton, Tony Blair, Gordon Brown, and Vladamir Putin attend the Summit. The Annual Meeting provides opportunities for leaders to define future strategic direction, and forges core public-private partnerships through its Global Institute for Partnership and Governance. The decision-making structure of the Forum is highly informal; observers and participants mostly regard the Forum as a "high-powered talking shop." International relations commentators have suggested that there is a great need to reform global governance institutions, due in part to the greater transnational interaction between countries, the increase in global threats such as climate change, and the increased importance of non-state actors such as multinational corporations, civil society groups and terrorist networks. Some commentators suggest the need for regional and formal groups to address threats and challenges, while others call for a fully funded and functional United Nations as the essential forum. Some campaigns promote cooperation on transnational issues like the protection of the global commons, and the regulation of the global economy, such as Simpol. Others urge the reform of international institutions to incorporate global democratic voting systems. E-Parliament seeks to create databases and coalitions of elected legislators and form a virtual parliamentary body. The Global Vote encourages participation through shadow voting on key global issues to create an international online expression of global public opinion. "All around we see the principles of the UN subverted, sidelined and suppressed ... Nevertheless the United Nations as an institution can hardly be blamed for the appalling behaviour of its member states. Without the UN, wars would have been even more frequent; they would have gone on longer; there would have been a greater number of victims, and many more refugees living without hope. The UN is the only arena in which all countries sit side by side. For all its weakness, it retains an unmatched legitimacy in world affairs." People-Centred Global Governance-Making it Happen! Maria Victoria Whittingham Munevar, Old and New Challenges for Global Governance, 2003.